PROTEK™ ALLwrap is a self-sealing packaging solution used to envelop products such as handles, unfastened hardware or even whole windows. This low cost option provides effective protection against dings, damages, scratches, and more. Simply wrap Protek™ ITwrap around your item and press the cohesive surfaces together. The self-sealing surface will bond to itself creating a clean envelope of protection without affecting the surface of your parts. PROTEK™ ITwrap can even be used to wrap full windows. PROTEK™ ITwrap has a cohesive backing, which means it won’t stick to your products, only itself. See for yourself! Watch the video to see ITwrap in action. ITwrap is supplied in pre-cut sheets, perforated rolls, or continuous rolls (with no perforations) to accommodate any requirement. LAMATEK also offers custom die-cut packaging and custom width rolls of ITwrap to meet your requirements. 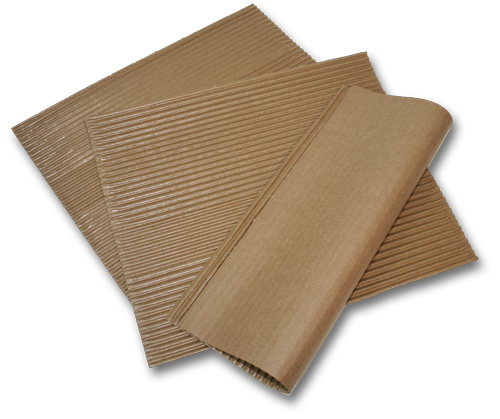 Corrugated ITwrap is a 0.12″ thick, brown, recyclable solution with self-sealing cohesive on one side. Also known as “B-flute” due to it’s corrugated profile, this option is stocked standard in our warehouse and available for quicker turnaround. 1.5# Translucent polyethylene is 0.06″ thick and supplied self-wound in continuous or perforated (like paper towels) with single sided cohesive backing. LAMATEK can custom cut rolls of ITwrap to your specified width. ITwrap is also available by request as self-sealing bubble wrap to provide a cushioned envelope for your most fragile products.